I’ll give 2018 this much: it ended well. Not that it was particularly bad or difficult year, for our family — we have far too much to be thankful for. Gratitude is due, and given. If years were U2 albums, well, 2018 wasn’t exactly “The Joshua Tree”, was it? “No Line On The Horizon” — yeah, that’s another U2 album, one so forgettable I had to look it up just now — seems a more appropriate match for 2018. Amorphous. Directionless. Interstitial. 2018 ended with color and joy. 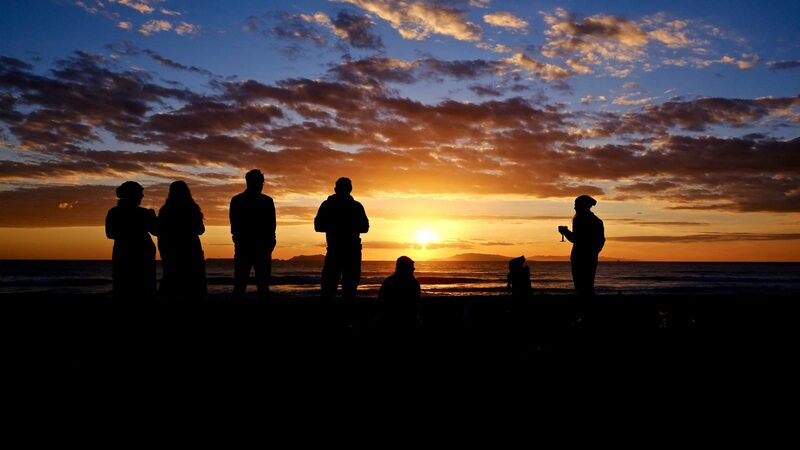 Sunset on a beach called Silver Strand, in the unexpected company of old friends and their offspring. It was a low-key New Year’s Eve in the very best of ways; effortless, comfortable, and fun. Kids exhausted themselves early, playing tag on the beach in the dark, and we had everybody tucked in at a Residence Inn well before midnight. I stayed awake — waiting, in a pitch-dark hotel room, for 12:00 fireworks to appear on my Apple Watch — and went to sleep completely happy. I woke with high hopes for 2019. An unanticipated spirit for embracing the year ahead, that, three days later, I still haven’t managed to shake. Can’t really call a place “an old haunt” until you’re back and weirdly lingering around, and yeah, that’s us now on Day 3 of travels. We’re in Cambridge, and whoah, what a difference a decade makes: our first steps out of the train station felt unexpectedly foreign, jolted by the phalanx of new real-estate developments that loom over the tracks. It took a couple good blocks of pulling suitcases for Cambridge to start feeling like Cambridge, again, familiar row houses and all. 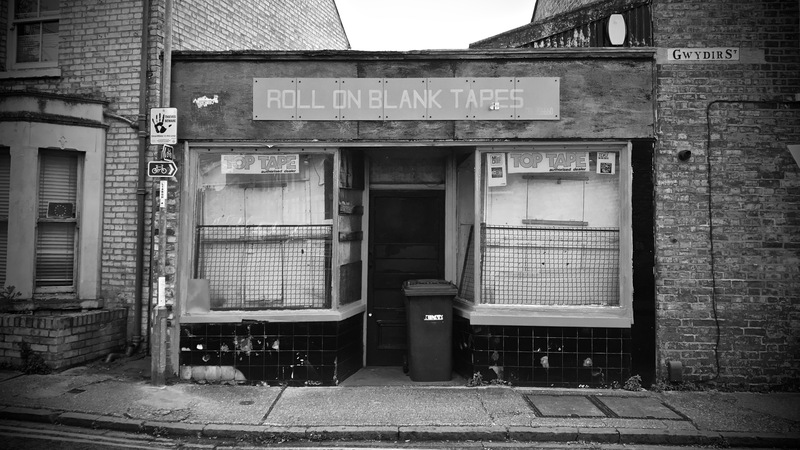 We’ve spent all of five hours back in the old neighborhood, and I’m already set to make snap judgements: the Cambridge Blue lost its indie charm (and former owner, I presume), Mill Road’s gained none (not sure I’d ever want it to), and most importantly, the mystery of Roll On Blank Tapes persists. Seriously. While the faded mural for Hot Numbers Records on Kingston St. has gone so far as to be restored, like a valued fresco from days of yore, just a couple blocks away, there sits an empty shopfront that’s got TDK MiniDisc and Top Tape adverts plastered to the windows, still. Each one every bit as sun-faded and dust-covered as they were in 2004, when we first arrived. 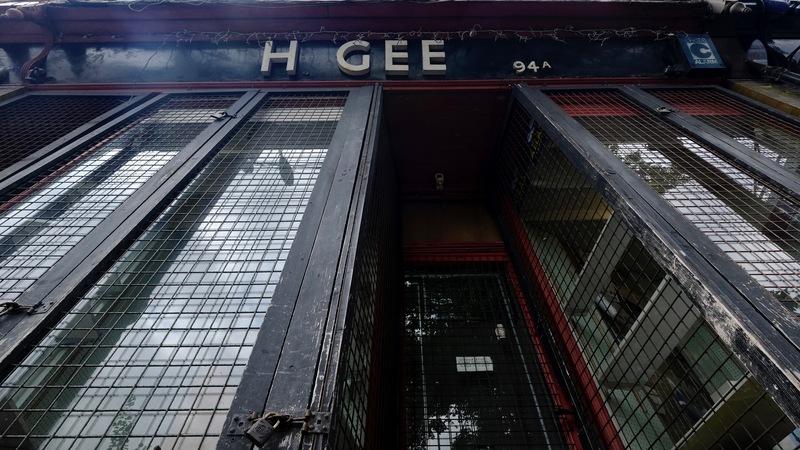 I’m told there’s a connection to H. Gee, another temporally-resistant shopfront which mysteriously endures on Mill Road. I bought ~50p of fuse wire there, once, years ago, and even then, had the strong sense mine would be the only transaction of the day. I say “endures”, but it might be “endured” — right now, the window stock looks worryingly sparse. Can’t help but think there’s a strange synchronicity, beyond just the shape of the name, between H. Gee and E. Buk, that odd Manhattan shop window that appeared in Pattern Recognition (and my own serendipitous wanderings through SoHo, once). E. Buk’s window so artfully curated, H. Gee so bizarrely random; one like ikebana, the other like jetsam, yet both so arresting. Anyhow. Turns out while Hot Numbers may not be slinging vinyl anymore, there is a sweet coffee shop here that’s resurrected the name, dutifully spinning records and giving me just enough pricey coffee and free wifi needed to hit [POST]. 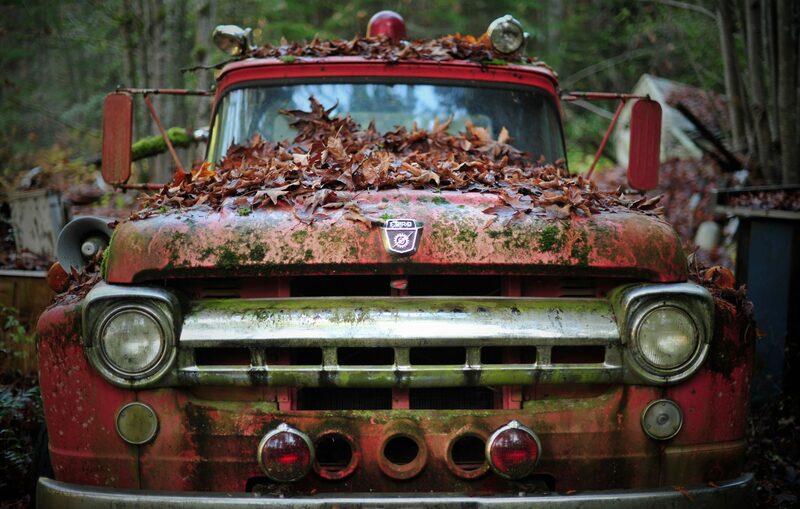 Like an old and broken pickup truck, this blog mostly just sits on blocks. Bits and bytes weather the elements, one season to the next, while the odds its engine will turn over decay each day. But the batteries — if you’ll indulge my metaphor — apparently still hold a charge, and from time to time I do manage to take this thing out for a spin. It rarely lasts. Nevertheless, I’m tinkering under the hood, again. The CMS engine is sputtering in fits and starts as I flush the bit-rot and rebuild the broken pieces: crufty MovableType backups, a half-busted Tumblr migration, ancient Blogger exports, inconsistently-applied Markdown syntax. It’s a strange return to a bunch of unfashionably-longform posts written in a voice that’s familiar, but definitely not mine, not me, not anymore. Still, it’s a labor of love. And behind lock and key of a [ LOG IN ] link, I’ve finally managed to un-archive and republish a hundred-odd private posts I wrote for friends and family when our first child was born abroad. The archived timestamps remain accurate to the minute, but damn if it doesn’t all just feel so long ago when I read those posts now. Anyhow. A decade of parenting provides enough wry perspective to know how niche the readership for such material is — but it was a much-needed connection to family, then, and there’s two precious kids reading those posts for the first time, now, and I reckon that’s all the audience that really matters. But enough of the past, neh? I’ve got the engine running. And the weather suddenly feels right for writing. We have Big Travel back on our itinerary, after so many years, and I can’t wait — our little family’s about to hit the road for a good stretch. Let’s see if this old blog can do the same. Another week, another turn of the crank. I’m outbound, and more so than usual, going from ferries to flights to freeways for a busy week in California. Non-stop motion seems to be the way of things, though, at least for the moment – our family made our intra-island move to our long-term home here on the 1st, started school 48 hours later, and then piled into a small flotilla of boats for an all-school trip to Orcas and San Juan. “All-school” was 9 kids. And ‘field trip’ was 3 days of camping, cooking and curriculum. Marine Studies are a core theme for the semester; we started one day assembling a whale skeleton in The Whale Museum, and ended by spotting a humpback whale surface at sunset. Bit of luck with that last bit, sure, but what mattered to me was seeing firsthand how these teachers really can work a one-room-schoolhouse class, tailoring the instruction and the work across such a range of ability. That part was all skill. The marine studies continued over the weekend (in my absence, alas) as the school gathered by the county dock for a seine. I watched vicariously through video and pics from Azure – Em got lucky and found a sculpin, which was neat, albeit not so pretty in person as on Ballast Point bottles. And now it’s Tuesday afternoon. Which means my kids must be in the water, again, earning their PE credits sailing and kayaking. I’m on an Amtrak. 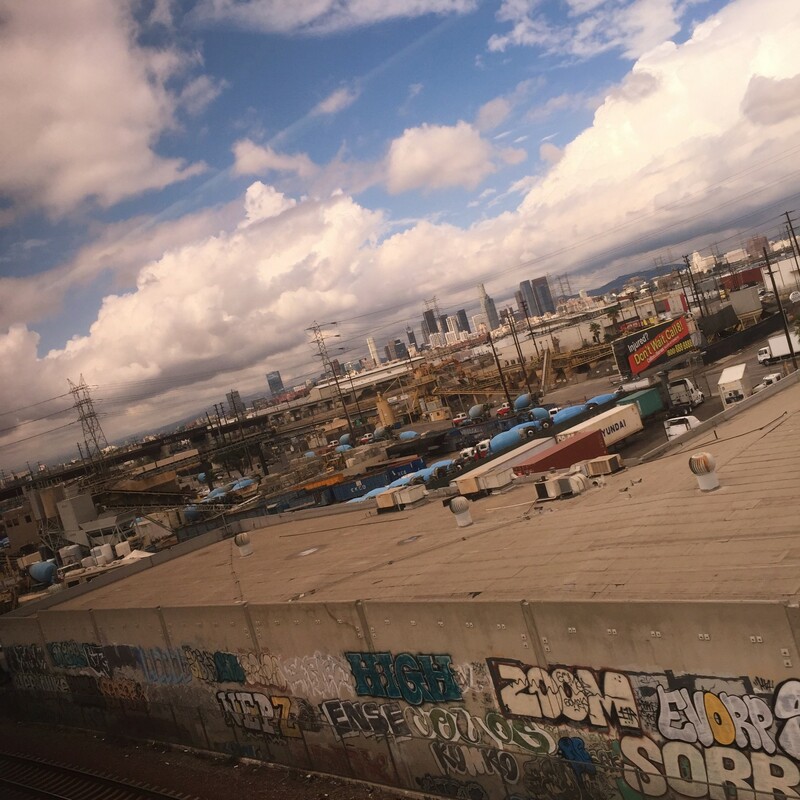 Peeling slowly out of Union Station, and accelerating south, past graffiti walls and empty aqueducts. Used to really like staring at this stuff out the car window, when I was a kid. I try to answer, but sense that I never do a particularly great job of it. There is an answer, obviously, but it’s a jumbled mix of signals from head, heart, and gut. A need adventure in one sense, a want for an anchoring in another; it’s a litany of little desires, or maybe it’s about big bold change. Any sincere response wades out of casual-conversation territory pretty fast. But fundamentally it’s for the kids. Since kindergarten, Em has said that she wanted to go to school on the island. “Yes, wouldn’t that be nice, we’ll do that someday, the whole family”, we’d say, and next thing you know, the kid is suddenly a fifth-grader. As for Tamsin, she’s the more change-averse. Prefers to maintain a well-defended comfort zone. Was happy enough talking about the potential move to here, just so long as it didn’t necessitate a move from where she was. When we arrived a few weeks back, she refused to touch her bike. Too hard, she’d say, too many rocks, too scary. But Azure cajoled her, under protest each time, into some short but ever-increasing cycling forays. And then: belief. Like with so many other things, Tamsin flipped polarity from her amplified self-doubt to a stubborn self-confidence. Meanwhile I’m back in Seattle, doing a quick 2 day turn at MSFT, settling into a notably empty house, and Azure texts me a pic. It’s Tam. 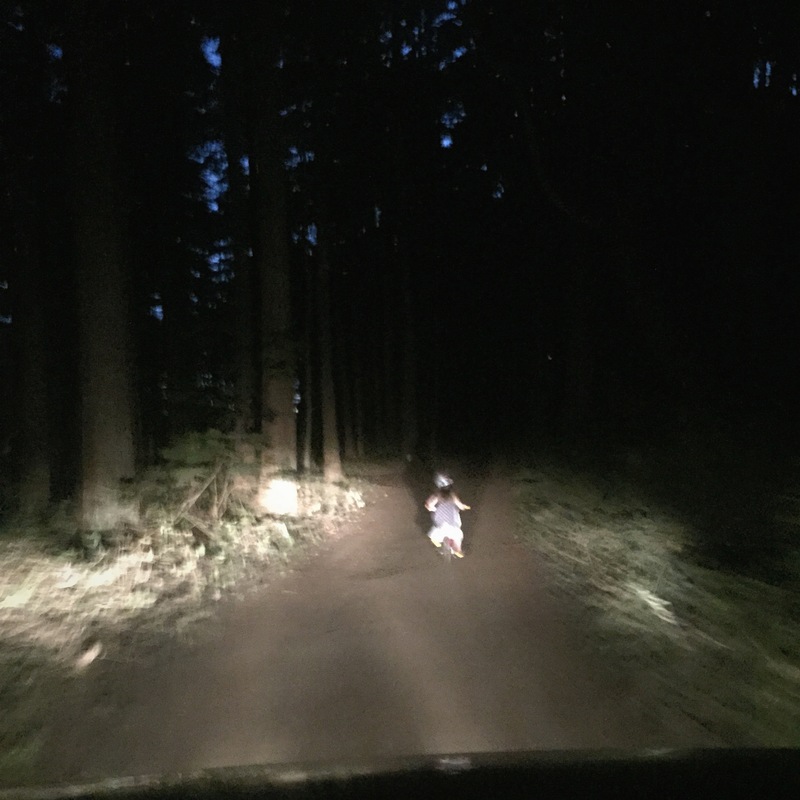 Who’s now apparently refused to even get into the car after a late dinner with friends, instead insistent on leading the way by bike, furiously pedaling home through woods and dirt and darkness. I think I miss it. The writing. The regular rhythm. The blogging. Plus, I have time, now. And not just any old time, but the longest-lasting, heaviest-duty, most second-stretching kind of Time they make, namely, commute time. When I blogged Emmie’s first days, we were living in England, and I ran a grueling 90-minute daily commute from Cambridge to London. Boredom became the mother of creation, for a bit. And this time the commute is longer: Seattle to the San Juan Islands, and one of the more remote ones, at that. It’s a two hour drive, an hour+ on a ferry, then 30 minutes on a 26’ SeaSport, just to get to the county dock. Of course, it goes the other way ‘round, sometimes, all direction-dependent, you-see, but the long and the short is that there’s now suddenly lots of time; time enough to think, and time enough to write. Allow me to sweep the dust off this blog, so I can quickly post a list of cheap eats in Rome’s Centro Storico. I’ve emailed variants of this guide to traveling friends for a long time now, but somehow never managed to put it on the web. 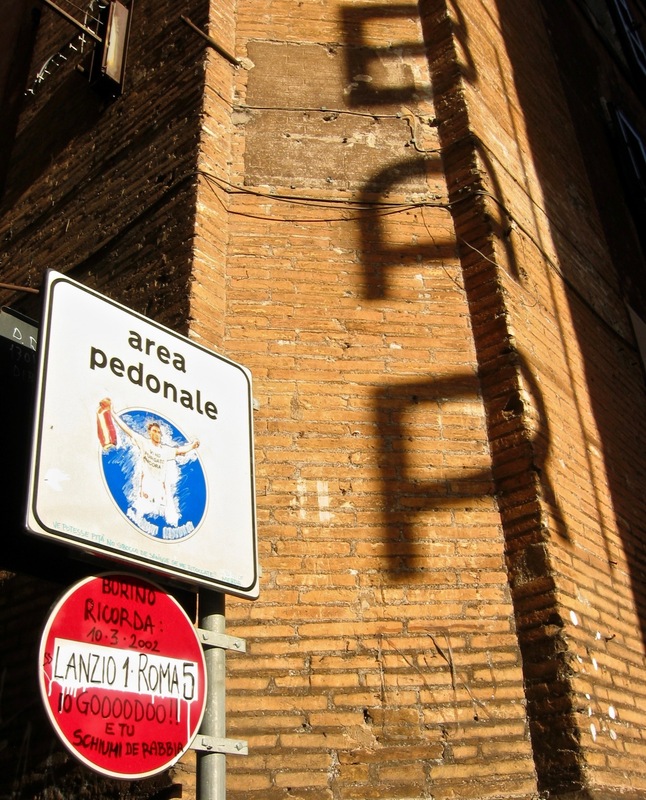 Two caveats: First, it’s been five years since Az and I lived in Rome; two since our last visit. But if something’s on the list… and you’re still hearing good reviews in present-day – that’s saying something. My favorite lunches in town are both near Piazza Navona: first, there’s Lo Zozzone, which makes awesome sandwiches on hot, straight-from-the-oven pizza bianca that’s sliced to order and stuffed with ingredients of your choosing. The breasola, arugula, and parmesan is particularly popular; I’d generally go the tapenade-veggie-cheese route, and sometimes order a small second of nutella-ricotta for dessert. Best to arrive both hungry and patient, the lunchtime queue can be a bit of a jostle. Even better is Da Tonino’s, which is officially called Trattoria Antonio Bassetti. I’m not at all sure if it has a sign, yet, and while I know they upgraded the decor when I visited a few years back (interior lighting used to be a couple of raw fluorescents) it’s a humble-looking place. The food isn’t fancy by any measure — it’s the simple pastas that shine here — but the taste of it all is stupendous and superlative. The pasta melanzane (eggplant) and pasta broccoli are my two favorites; in a perfect world their pasta fagiole would be spirited away somewhere safe to serve as the specimen against which all others should aspire. Check out the carciofi and brocolli romano (perfectly saute’ed with chili flakes and olive oil) as side dishes. As for dinner, well, it’s gotta be Baffetto’s, right up the street. Look, there’s a reason this place is in every single guidebook: Baffeto’s is very, very good and very, very Roman pizza, with a two-dimensionally-thin crust that’s crunchily croccante, baked perilously close to the fire, and topped with a type of grated fresh mozarella that I’m convinced is the key to it all. (Order the Insalata Burina as an appetizer to sample the cheese raw; I’m personally torn between that and a starter bruschetta every time I go.) Be prepared for gruff service and a wait outside, with plenty of tourists and crowd-control all’italiana. It may seem gauche, but arriving early in the evening (like, ten minutes before they open) makes for a wayyy more civil experience. Plus, you’re more likely to get a seat downstairs where you can watch the two cooks work the pizza oven, which I always like. Contingency plan: if Baffeto’s won’t work, and you can’t make it to Trastevere, run with Da Francesco, around the corner at Piazza del Fico. The best coffee in Rome (IMHO) is Caffe San Eustachio. And given that the queue at the bar sometimes goes three deep, it appears others feel the same. Il Gran Caffe is the paragon of espresso shots, though I swear there’s some cheating going on — the crema on top is so wonderfully fluffy that I suspect they’re doing something when they stir in the sugar for you. (A note on that: when the barista barks “zuccherato?”, he’s asking if you want sugar, and the answer is yes.) If you don’t believe me, check the weird metal guard they’ve put in to block the view of exactly what happens under the espresso machine. I know I’m not the only one who thinks something’s going on (a teensy hint of hot cream, or bicarbonate of soda, maybe? ), but whatever it is, it’s good. Caffe Tazza D’Oro is nearby, too, and while the decor is sweet and the place is something of a destination, I can’t say the espresso struck me as being notably better than anywhere else (in Rome, that is). Gelato is the other staple that’s abundant around the Pantheon. Like the Trevi fountain, I think the Pantheon looks better at night, and always worth a minor course-correction when taking an evening stroll. Ditto for a few of the cremerias in the area — there’s La Cremeria right on the piazza, and the venerable Giolitti nearby. Della Palma wins on quantity (but not quality) and is wonderful to look at; it’s an OK place if you’ve got some kids in tow. There’s a place called Forno right on the square that does great pizza bianca, with just the right mix of oil and salt. Easy enough to make a lunch of the stuff, IMHO. There’s also a place called Aristocampo on the square that’s known for porchetta sandwiches (pork stuffed with herbs and whatnot, roasted ‘til the skin gets crispy). Campo Dei Fiori isn’t particularly great for sit-down dining, at least, not if you’re really going to focus on the food. Come night-time, it’s mostly a party nexus for international students, busy drinking exotic Stella Artois and the like. However, there’s a joint called Filetti di Baccala just a bit off of Campo dei Fiori that epitomizes the notion of ‘core competency’. Battered and deep-fried fillets of cod are what’s on offer, here, attentively cooked in massive iron bowls of hot oil. Be sure to order a side of puntarelle if it’s in season; puntarelle is a leaf vegetable related to chicory that I’ve never seen outside of Italy. It’s served cold, curly, and with a oil/salt/vinegar/anchovy dressing that complements the fish perfectly. The little square that this restaurant sits in is quite cute; IIRC there’s a couple tables outside and a little frozen yogurt place next door. Augusto (map) is a trattoria that’s popular with locals for both lunch and dinner, and as the lone restaurant in a tiny square, it winds up being a lovely place for people-watching. If you’ve been walking the cobblestones all morning, and just want to chill a bit with good food and a quarter liter of wine, this is as good a spot as any. Another nice break is Valzani (map), a pasticceria that’s filled with chocolate eggs come Easter time. I previously wrote a post about this place, back when we lived around the corner. Pop inside and enjoy a meringue with whip cream. Although I’m a Baffeto’s fan to a fault, there’s some phenomenal pizza in Trastevere. Highest on my list is Pizzeria Ai Marmi right on Viale Trastevere. Like Baffeto’s it’s Roman-style, not Neapolitan, which suits my bias fine. The wood-fired pizza is top-notch, and they do wonderful fresh suppli al telefono and zucchini flowers, which you can’t get at Baffeto’s. If you haven’t had them before, suppli are deep-fried balls of rice (cooked somewhat risotto-style) wrapped around a cheese center. They’re definitely worth a try; the ‘al telefono’ bit refers to how the melted cheese in the center is liable to pull itself into a long, thin string as you try and break off a piece, like a telephpone wire. You can also get zucchini flowers as a deep-fried cheesy appetizer, or as a pizza topping — either way, you win. If you’re looking for more variety, try the reputable Ivo, Pizzeria San Calisto, orDar Poeta — they’re all in Trastevere. You’re not going to go wrong with any of these. Il Gelato di San Crispino is hands-down the best gelato in Rome. Absolute purists, they’re written up pretty much everywhere, and this decade-old NY Times review explains why. I’m partial to a triptych of whiskey, bourbon vanilla and licorice, though on a hot day the fruit sorbetti are near-impossible to beat. Try the pear. Not quite sure what would bring the average tourist to this area, but I reckon lunch outside Cacio e Pepe is reason enough. Again, what we have here is a restaurant that knows what it does best — namely, pasta with pecorino cheese (cacio) and pepper (pepe). There’s more to the menu, though I frankly never saw much reason to stray from the eponymous entree, save for the variant of cacio, pepe, and pancetta. Yum.